I found the right approach to picking scholarships, I used this method and was awarded for everyone that I applied for. It’s not a one-size-fits all strategy, but it is a one-size-fits most. When presented with these questions, it can be very tempting to write the saddest sob story you’ve got. There are two reasons you shouldn’t do this. The first is that someone will always have a sadder sob story than your own. Trying to compete in this way is almost always futile. The second is that while your story may stir up some empathy, that empathy may not be enough to answer the second question. When someone considers awarding someone a large sum of money, they want to see the merit of the person. Horrible things that have happened to you are just that: things that have happened to you. Show them instead how you have built skills to be able to deal with difficult situations. To begin, think of some adversity or hard decision you have experienced in your life. Brainstorm a few, as the hardest thing you’ve ever dealt with may not be the best thing to write about relative to the question or prompt. Now make sure you can take that experience and turn it into an anecdote. Stories make for a much more fun read for those reviewing essays. Once you have your first draft of your anecdote, highlighting the characteristics and qualities that have made you successful, make sure to tie it back to the prompt. Briefly cover why you need the money. You may have bills, children, a mortgage, or simply tuition rates that are outside of your economic capabilities. Then remind the reader why you deserve that scholarship money. Reiterate the characteristics you displayed in your anecdote that will make their investment in you a good one. Perhaps you’ll use your empathy in the world of medicine. Perhaps you’ll use your motivation to achieve highest honors while in school. 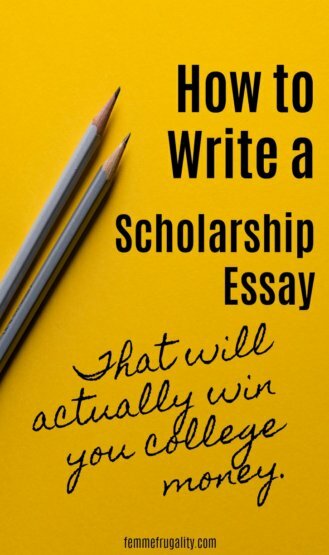 Now that you have your entire scholarship essay written, go back and revise it. Make sure there are no grammatical errors. Make sure it makes sense. Make sure it flows well. Get someone else who will be honest with you to proofread it before sending it in. Revision is the writer’s best friend. Have you been awarded a scholarship? What approach did you use in your essay? 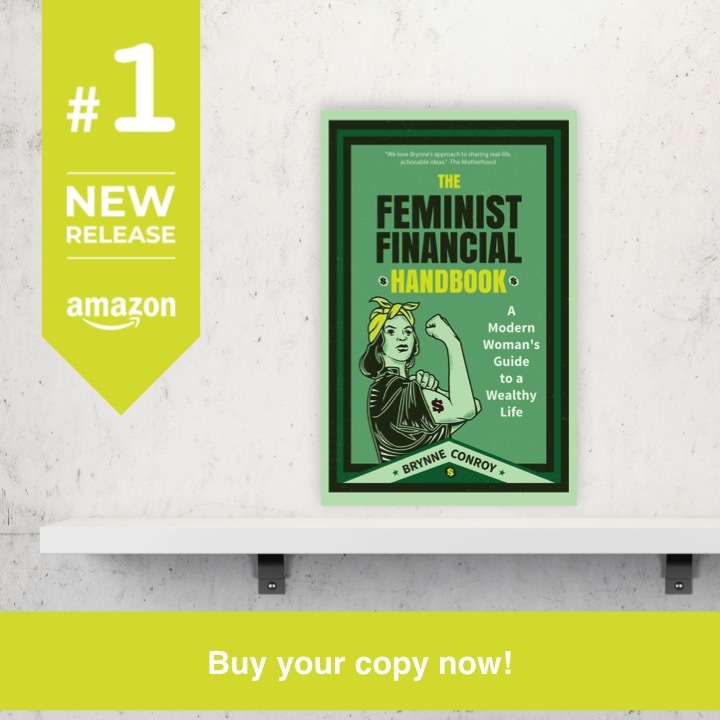 This entry was posted in College Money on January 9, 2018 by femmefrugality. I work as a freelance college admissions advisor and I always tell my student to make a dream board and use that as an inspiration. Most applications will ask about your intentions after graduating or your intent while you are in school, so having a constant reminder of what you want from the scholarship can totally keep your mind fresh and focused! Such great advice! I’m so lucky to have a few readers who sit on these boards! I really appreciate your input! So true about the same thing for getting a raise. It’s so much more appealing to advertise merit over desperation. I won scholarship money in college and I think the key is writing a creative story about yourself. Everyone has a unique story and can succeed at these essays. I was thinking about going back to school for fun to get a degree in French but the thought of preparing for tests shook me back into reality LOL. If I change my mind, I will consider getting a scholarship. Thanks for the post and visiting from Financially Savvy Saturdays . Speaking as a secondary education teacher and a tutor who looks at dozens a year, playing your strengths is great advice. Also, looking for the extraordinary in the ordinary. Too often, students think they need to do something (or invent something!) just for these essays. It’s really apparent, sometimes painfully so. YES. Some of the best essays I wrote were born out of seemingly ordinary circumstances. Drama isn’t what wins you the scholarship money. It’s the argument you make for yourself as a candidate that’s important.